Hello Everyone! 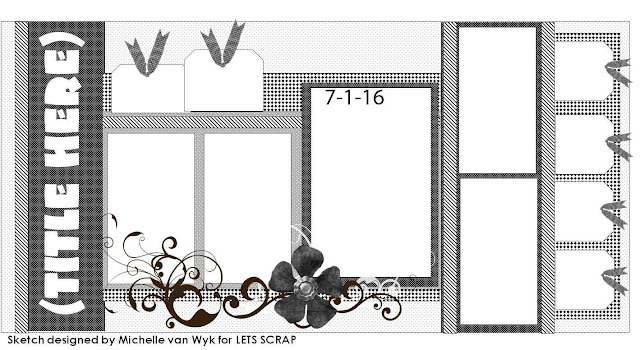 Welcome to the Let’s Scrap Sketches Summer Fun Blog Hop! This blog hop runs from midnight July 1st to midnight July 7th, so make sure you join in ALL the fun. 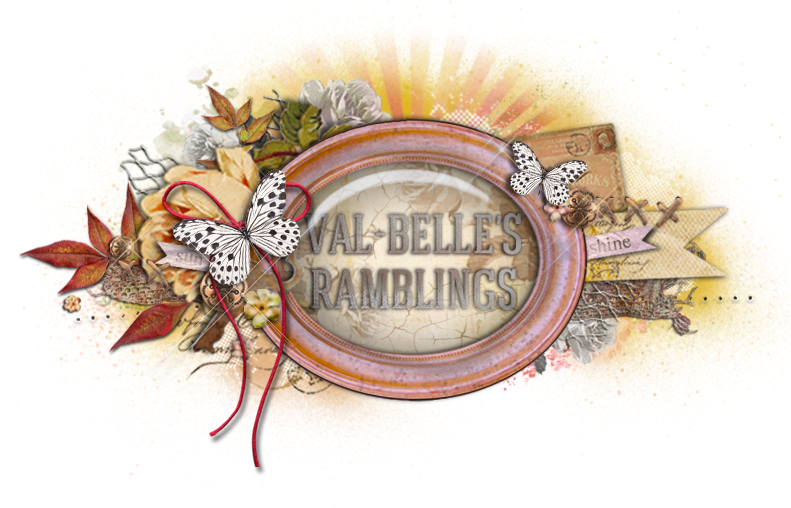 If you are joining the blog hop here instead of at the beginning go HERE to start at Let’s Scrap Sketches and follow the instructions for the Blog Hop to get in for a chance on all of the prizes! Be sure to comment on my blog and follow my blog for more inspiration. You need to do both of these things to get in on the RAK for this blog, then please go to the NEXT BLOG for more fun and more chances to win more prizes! 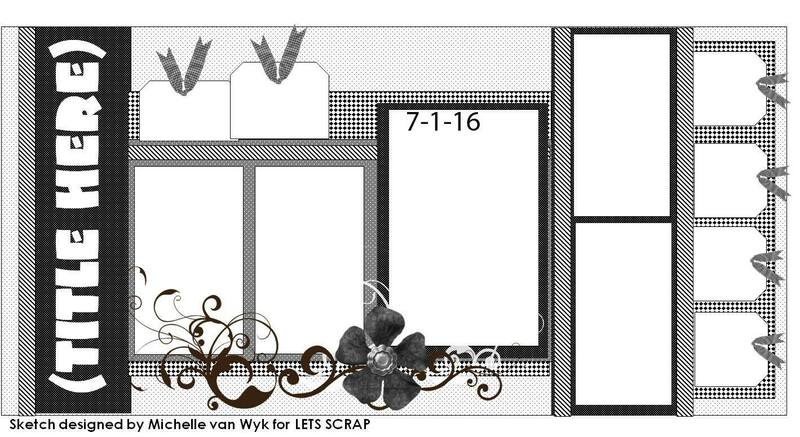 Here is the sketch, designed by Michelle van Wyk, that we had to work with. This is how I interpreted the sketch. I used the Penelope Dee papers designed by Glenda Viljoen and they are so lovely to work with. I have sort of followed the sketch and the photos I used are of my beautiful daughter just one week before our precious little mite was born. Here are some close ups of my page. did some Distress Stain smooching on the page in a few places and also added some splats. There was also some fussy cutting and I like to ink and distress all of my edges for a more vintage feel. I coloured the flowers with watered down Distress Paint and the same paint was used to paint the title and the little hearts. The title and the hearts once dry were covered in glossy accents and Distress Glitter... I LOVE Distress anything. I know you can't wait to get your body back and if I know you you have a plan for that too but this is such a special time when the two of you share one body and that closeness will never be there again so enjoy the last few days of it. I also made a card from some of the left over paper. The card measures 15 x 15 cms and the watercolour piece 14 x 14 cms. I smooched the Worn Lipstick and Twisted Citron onto it and left it to dry, I love the effect you get from this technique. The edges were inked too. A strip of the butterfly paper and one of the little strips from another. As I didn't use the lace on my layout I used it here. The 'You are Awesome" was fussy cut and popped up on foam tape and the flowers added. Lastly I fussy cut one of the butterflies and added it and added the recipients name. Thank you so much for stopping bye to take part in our blog hop, I am the last visit so next stop is back to Let's Scrap Sketches I hope you have enjoyed it. Watch this space to see who wins the RAK from me. Till next time - Happy Scrapping! Val this is such a gorgeous layout. Love the hint of shabby chic here and how the neutral toned photos pops against the pink in the rest of the design. A beautiful card too. wow this is beautiful and that card is stunning!!! Wow. Love the vintage feel of your page. Wow, your layout is gorgeous! Just soooo good to see you scrapping again! ADORE your vintage-ish vibe on this one.... I think you do it to perfection - & all the butterflies.....totally YUM! I had my 2 yesterday - then the whole family and mum for tea. It was like, manic but good & now I'm utterly exhausted. But worth it!!! Absolutely beautiful 2page layout, Val ! I love the soft watercolour effect on the background paper and how you've embellished the layout with all those pretty butterflies. Lovely series of photos to boot. I can't believe you ever doubted your scrapbooking talent. Your work and journaling are wonderful. Glad you're back ♥. What else can I say, Gorgeous. I love you layout Val. What a beautiful layout - very soft and feminine! Really like how you have framed your pictures just beautiful. Awesome card too!! Love the page Val. You blow me away!!!!! Beautiful layout I love all the little details. Great card with those papers too. So soft and beautiful. I love that you did extra journaling on the back of your layout. What a lovely layout of Storm. I must really get some of this new SA range. wow I am speechless.....first we watched Storm get married.....now her pregnancy....cannot wait for the baby layouts!! Stunning stunning stunning!! My jaw almost hit the desk!! *still grasping for my breath! * Val, this LO is SUPER beautiful!! I am in awe . . . so much eye-candy to look at! Glad you are scrapping again! I love your precious letter to Storm, you are so talented when it comes to journalling. Beautiful card too! I really missed your e-mails as I am a long time e-mail subscriber.